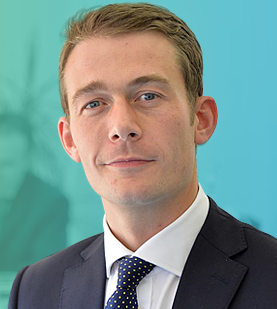 Jonathan specialises almost exclusively in clinical negligence work as his repeated recommendations in the Legal 500 attest. His expertise covers the whole breadth of clinical negligence work including orthopaedic injury, cancer misdiagnosis, cerebral palsy birth injury, surgical mishap and wrongful treatment and consent. Jonathan also undertakes cases concerning negligence and/or assault in football, rugby and other sporting activities. He has been specifically recommended by the Legal 500 as being an "expert in sports related injuries". Jonathan has considerable and invaluable experience in conducting conferences with medical experts of all disciplines and often on a multi expert basis. Jonathan regularly undertakes JSMs (Joint Settlement Meetings) and in doing so has achieved very favourable and high value settlements. David represents both claimants and defendants in a wide range of claims, including complex Clinical Negligence, most recently in the ODPL II Group action (over 1,000 Claimants). David is an Accredited Advocacy Trainer (ATC) and teaches established and trainee Barristers Trial and Court-room skills; he is a founding Member of the Joint Professionals Forum Lectures, at which members of various professions are brought together to discuss pertinent legal and professional topics. Andrew has over 12 years' experience as a solicitor in both personal injury and clinical negligence cases including for one of the largest and most experienced personal injury law firms in the country. He is the founder and Managing Director of Truth Legal Solicitors, a rapidly growing ethical law firm of specialist personal injury claim solicitors, established in 2012, and with offices in Harrogate, London, Manchester and York. Andrew has considerable experience as a presenter and has delivered many talks to large groups on legal matters. He is the President of the Golden Triangle Group of BNI which provides business networking events for employees.